Have you ever wondered what the end bosses of poker are doing that makes them so much better than everyone else? If you’re like me, then you most certainly have. Lucky for us the end bosses at Upswing listen to what the people want, and have dedicated an entire Upswing Lab module to breaking down hands that took place in the toughest high stakes games on the planet. In this article we’ll take one of those hands and analyze it street by street. I’ll include bits of Doug Polk and Ryan Fee’s thoughts from the Lab along the way, and sum up what we learned at the end of each street. Stay until the end of the article for an exclusive video clip from The Truth About High Stakes Poker module. The hand takes place at a 3-handed $50/$100/$20 table on Pokerstars between “Katya_18,” a long time high-stakes winner, and “LLinusLLove,” a relatively new high-stakes player who has been crushing since he came on the scene. Here’s the start of the hand. Pokerstars $50/$100 $20 ante. 6-Handed. Effective Stacks $10,000. BU folds. Katya_18 raises to $400 with 9♦ 9♣. LLinusLLove calls with T♦ 2♦. Even though this is a cash game, the SB’s strategy will be more similar to a tournament strategy. This shift happens because antes are in play, which gives the SB much better odds to call. And so Katya will be encouraged to play many more hands than normal. In theory, the mixed strategy reigns supreme in a game without antes but only by a very small amount and the extra expected value (EV) it generates is countered by a high degree of complexity. Whichever one you choose, make sure that you understand it well because it heavily impacts your post-flop play! That being said, Katya opens to 4x with pocket nines, which is completely fine. His sizing indicates either a tighter raise-only strategy or a mixed one. Either way, it suggests a pretty strong range. Linus has a very standard defend, getting almost 2:1 on a call with position and 100bb effective stacks. When there are antes in play, the SB should play a lot more hands than usual, either as a call or raise. The EVs of mixed strategies and raise-only strategies are similar. Learn more about the Lab here! Katya_18 bets $282.81. LLinusLLove calls. The board is fairly dry, and Katya has the stronger range. So, he is incentivized c-bet at a high frequency with a small sizing. He could however choose to check with some hands, such as Aces, 66, some 6x combos, and his worst possible hands (like 4♣ 3♣). When the action gets back to Linus he has two options: call or raise. In this situation it’s important to be careful with raising. 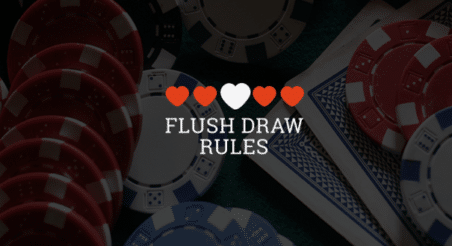 The main risk is ending up with too many flush draws in one range. His specific hand is a middle-of-the-road type of draw, because hitting a Ten means winning at showdown pretty often. There is more incentive to raise a lower flush draw here, such 4♦ 3♦. This is because hitting a 4 or 3 doesn’t add much showdown value, as opposed to hitting the Ten with T♦ 2♦. Combined with the fact that a raise often gets a fold, and because the opponent’s hand is almost certainly better, this is a very efficient spot to bluff. Raising is thus superior to calling. Now, that being said, both raising and calling with Linus’s hand have merits. In the end he elected to call. On paired boards in blind vs blind situations, we should fire a small c-bet at a very high frequency. When bluff-raising versus a c-bet on the flop, we want to choose either a very strong or a very weak draw. Katya_18 checks. LLinusLLove bets $1963.22. Katya_18 calls. Even though this is the type of spot where the SB needs to check a lot of his range in order to remain fairly balanced, Doug and Ryan think this hand likely deserves to be part of a small betting range. In Ryan’s opinion, the worst thing that can happen for a hand such as 99 here is to bet a size between half and three-quarter pot on the turn, and then on the river not be able to get a fourth bet in from our opponent’s Jx hands. For this reason, he thinks a small bet is best here. It puts a lot of pressure on the BB’s range, forcing him to make tough decisions with a lot of hands and compelling him to raise with some of his Jx hands, thus allowing us to get max value with a full house. However, checking is not bad. We still have the option to check-call on the turn in order to check-raise on the river, since a Jx will be confident enough to bet twice after a check from the BB. Indeed, Katya went for the check, and the action got back to Linus who then decides to go for an overbet, setting up for stacks on the river. Doug thinks this overbet is a mistake, because going for a big size on the turn and on the river gives the SB an opportunity to fold 60% of his range on the turn and then another 60% of his range on the river without being exploitable. This sizing will make it so that on the river the SB will not be forced to make many loose calls, and the BB may end up bluffing too much. In the end, Doug believes a smaller sizing is appropriate for this spot, and that an overbet is only appropriate on the river. Katya decides to call. This is by far the best option, since he is bound to win a large amount of chips regardless of whether the flush draw completes or not. After c-betting on the flop at such a high frequency, we need to check on the turn at a high frequency–with both medium to strong hands–in order to avoid becoming exploitable. If we are in the BB and the SB checks in a spot like this, we usually shouldn’t overbet the turn and the river because it makes the small blind’s decision easy: only call with trips or better. Katya_18 checks. LLinusLLove goes all-in for $7333.97. Katya_18 calls. LLinusLLove shows a flush and mucks. Katya_18 shows a full house and wins the ~$20,000 pot. The play here is very standard from both sides, with Linus shoving his flush and Katya calling with a full house. When we hold near-nut hands on the river, we want to use very large bet sizes in order to extract maximum value. We should, of course, balance this play with some bluffs in order to remain unexploitable. Online high stakes poker has become very complex, and it takes a brave heart and sharp mind to dive in. For those of us who don’t play high stakes there’s a lot to learn from the players who do, so be sure to check more analysis from Doug and Ryan in the Lab Module. Play a lot more hands than usual from the SB with antes in play. Mixed strategies and raise-only strategies from the SB have similar EVs. Fire a small c-bet at a very high frequency on paired boards in blind vs blind situations. Bluff-raise with either very strong or a very weak draws versus flop c-bets. If your wide-range c-bet on the flop is called, you should check on the turn at a high frequency–with both medium to strong hands–in order to avoid becoming exploitable. Don’t bet big when it will make your opponents’ decision easy with a large portion of their range. Use very large bet sizes with very strong hands on the river in order to extract maximum value, and balance with some bluffs in order to remain unexploitable. I hope you enjoyed this brief analysis. Leave your questions and comments below. And good luck, grinders! Join Doug Polk and Ryan Fee as they reveal valuable strategies in 10 extensive high stakes hand break downs. Preview their module The Truth About High Stakes Poker below.